The Ministry of Regional Development of Russia, National Investment Agency and WAIPA organised invited MIPIM participants to discover the growing investment opportunities in Russia. 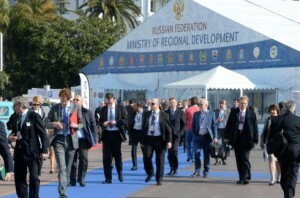 In the framework of the 25th anniversary international exhibition MIPIM- 2014 (Cannes, France), where this year Russia was the country of honour, an international conference “Invest in Russia” was held. The conference was organized jointly by the Ministry of Regional Development of Russia, the National Investment Agency “Invest in Russia”, and the World Association of Investment Promotion Agencies (WAIPA). The State Secretary, Deputy Minister of Regional Development Svetlana Ivanova, addressed the audience in her welcoming speech. The conference’s moderator was the executive director of the “National Investment Agency” Yury Voicehovsky. The central event of the conference was the presentation to the international investment community the National Investment Agency “Invest in Russia” (further – the Agency), which was created in December 2013 in order to attract foreign investors to the Russian regions. Participants noted that Russia faces the important task of continuing economic growth and modernization. Significant increase in foreign direct investment (FDI) is paramount for the realization of this task. Today, each of the 83 federal subjects of Russia have already created or are in the process of establishing an investment promotion agency, as well as working to improve the investment climate. Executive director of the WAIPA Carlos Bronzatto welcomed the establishment of the Agency, while also relating the latest tendencies in the field of investment. “WAIPA and its members will give institutional support to its new partner in Russia”, noted Mr. Bronzatto. The conference presented the investment potential of the Republic of Tatarstan, the Kaluga region, the Tula region, the Kaliningrad region, the Rostov region, and the Tomsk region. Speakers of the conference indicated the timely foundation of the Agency, since it will be an effective tool for organizing the work of all regional agencies of the federal subjects of Russia. It will also act as an expert platform for interaction with institutional investors. Lee Timmins, Senior Managing Director of “Hines”, one of the largest investors in the commercial real estate sector in Russia, spoke about their successful experience in Russia and consequent plans to further expand the business. Managing Partner of “Cushman & Wakefield” Sergei Ryabokobylko described the benefits and attractiveness of the Russian real estate market to the participants. Joe Montgomery, Chief Executive of the Urban Land Institute for Europe, in his report focused on international experience that has been used in Russia in the field of urban and regional planning. Within the framework of MIPIM- 2014, the Agency also held a series of bilateral meetings with investors from France, Germany, Austria, UAE, Kuwait, Turkey, Brazil, the UK and other countries. Plans were made concerning further collaboration. Promotion of investment opportunities and business image of Russia by the efficient system of communication and interaction with the international investment community. Russian Federation consists of 83 subjects, each of which has significant potential for growth in terms of investment and economic development. Working closely with the Ministry of Regional Development and Regional Investment Agencies, the Agency creates a platform for “investor -region” interaction at the Federal level as well as forms a unique center of information on all regions, ongoing projects and investors interested in projects in the Russian Federation. The main task of the Agency is to function as a single Customer Center, which serves for foreign investors as a source of extensive information about the investment potential of Russian regions, ongoing projects, new investment opportunities, as well as a tool to create favorable conditions for foreign companies to enter the Russian market.